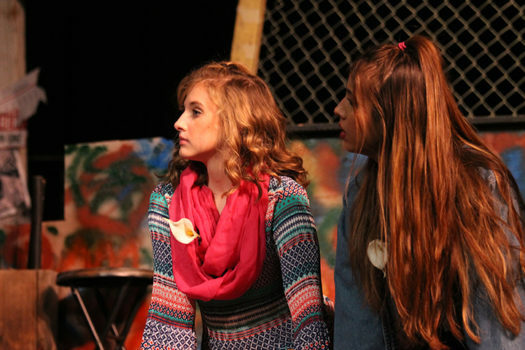 Junior Andrea Daniel performs in a scene from "Godspell." Junior Andrea Daniel makes final details on hair and makeup before putting on a show. Aside from acting, Daniel actively participates in cheer, dual credit classes and AP classes, softball, student council, NHS, and OAP as well as watching Netflix and hanging with friends. Daniel is described by friends as a happy person and friendly to anyone she meets. Although her plate is always fun, she manages to keep a smile on her face. Despite having a passion for theater, Daniel plans on attending junior college and transferring to a university and becoming an occupational therapist.